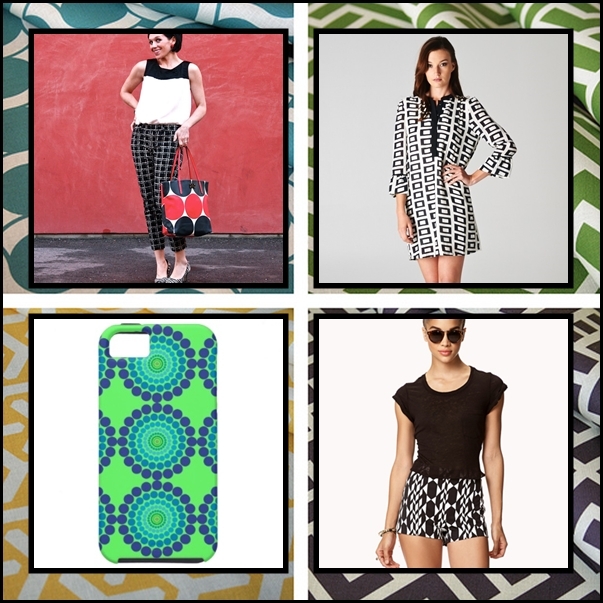 Prints have made a great comeback in 2013. I literally see them everywhere. 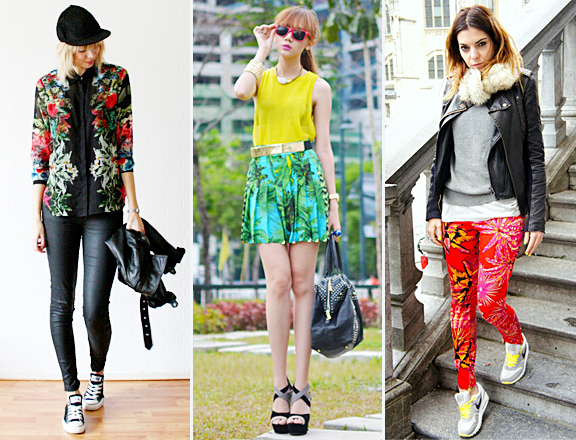 Here’s a guide to the various kinds of prints that have in past and in the current year appeared in fashion. Aloha print is what you see on Hawaiian shirts. However, Aloha prints aren’t just restricted to those. They’re very lively, colorful and can be commonly found in a lot of summer wear. 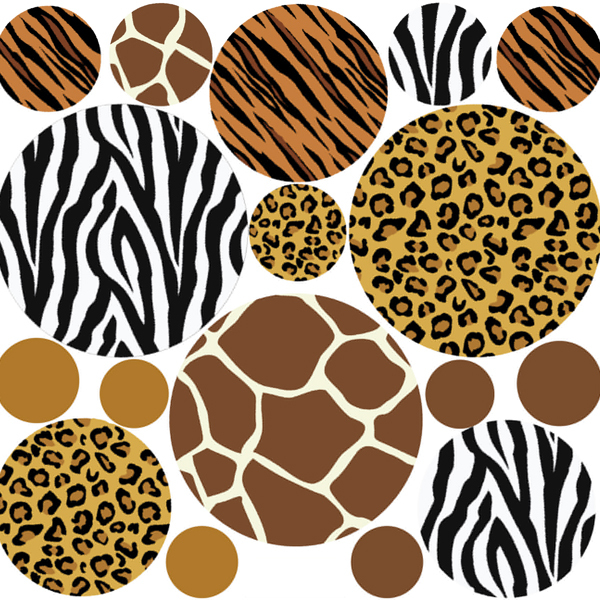 Animal prints have been majorly iconic in recent fashion. Loved by absolutely everyone, they have been a part of high fashion since quite a while now allowing all fashionistas to reveal their wild side. 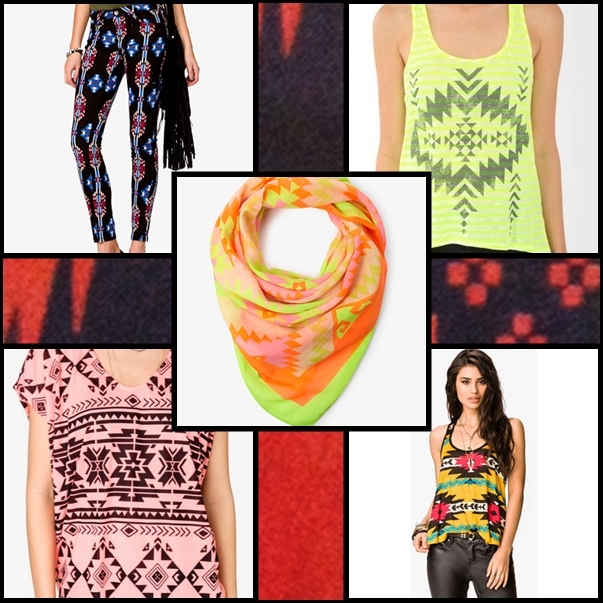 Aztec Prints add a hip and trendy touch to fashion. 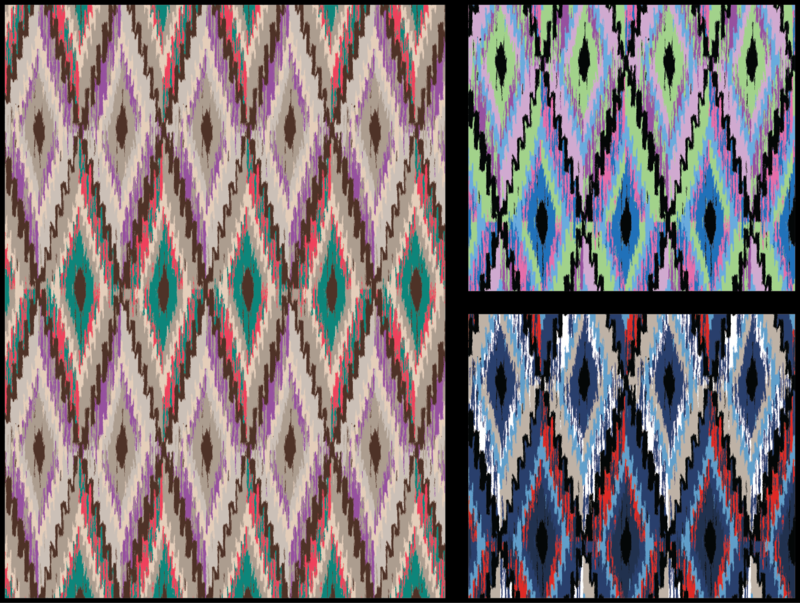 Inspired by Aztec imagery with its sharp black outlines and strong triangular shapes, these prints have been dominant in fashion since quite a while now. 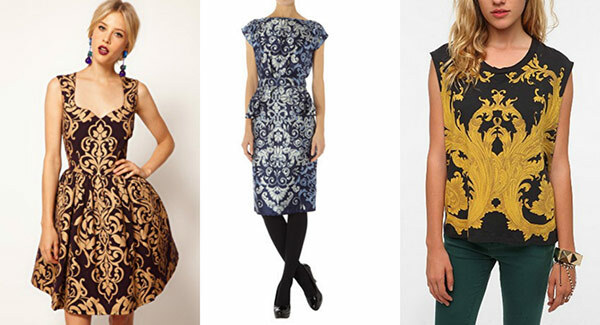 Baroque prints made a large comeback last year. 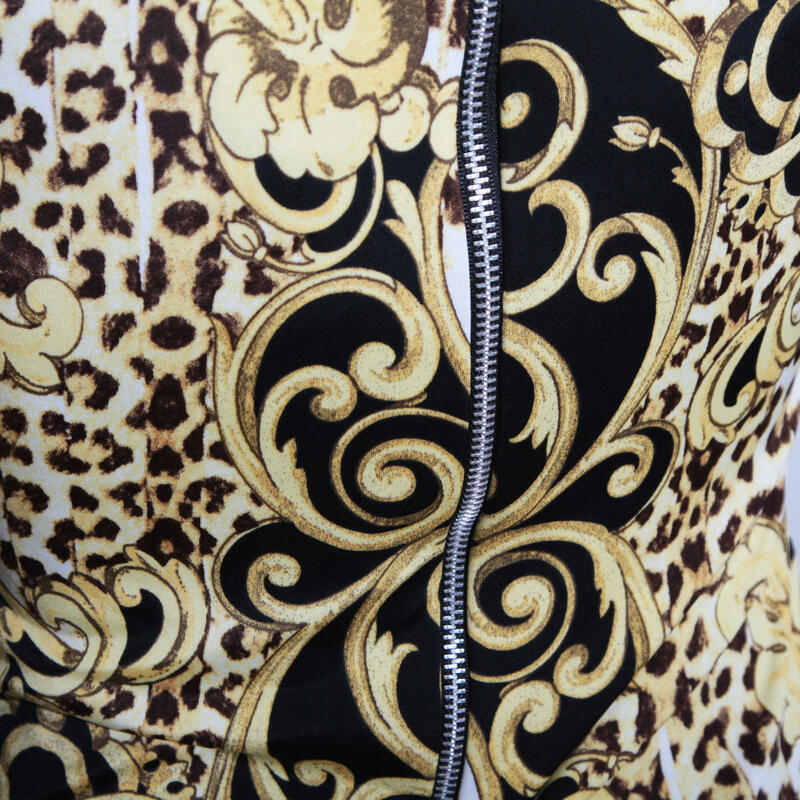 They are solely synonymous of Vintage Versace and add an elegant, bold and almost grand touch to fabrics. 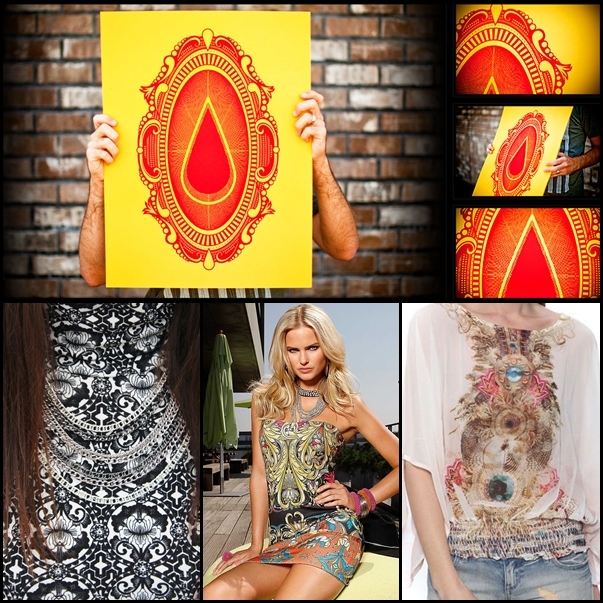 Boho prints are inspired by Bohemian art. It features strong shapes and vivid colors adding a funky touch to clothing and accessories. 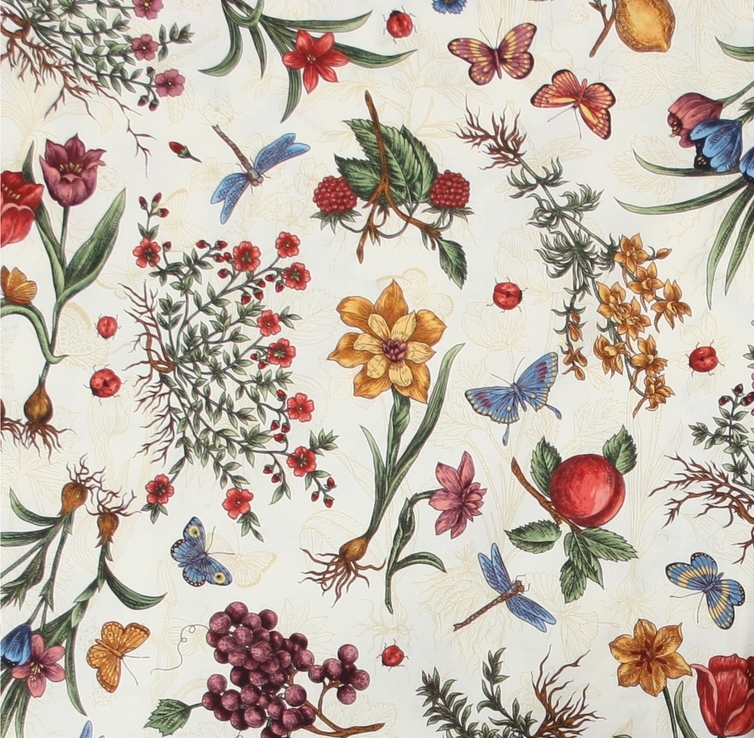 Botanical prints add a pleasant touch of nature to fabric. 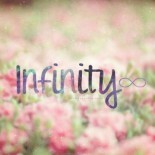 They feature fields, trees, stemmed flowers and nature in its most beautiful and idealistic form. 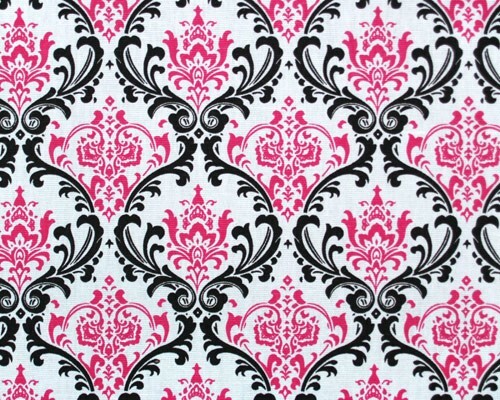 Damask prints originated from the Byzantine Empire where they were woven onto silk and satin. 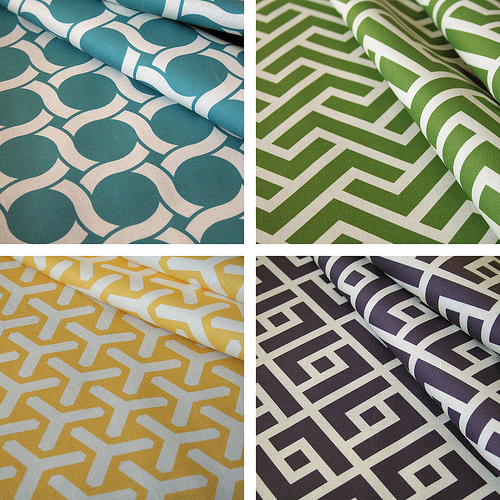 In modern fashion, damask prints add a traditional and almost stately look to fabric. 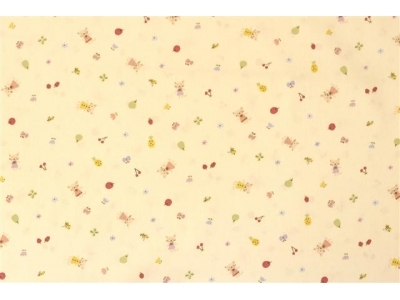 Ditsy print is the cutest print out there! It comprises of tiny objects scattered about asymmetrically. They generally feature flowers but other objects also appear. 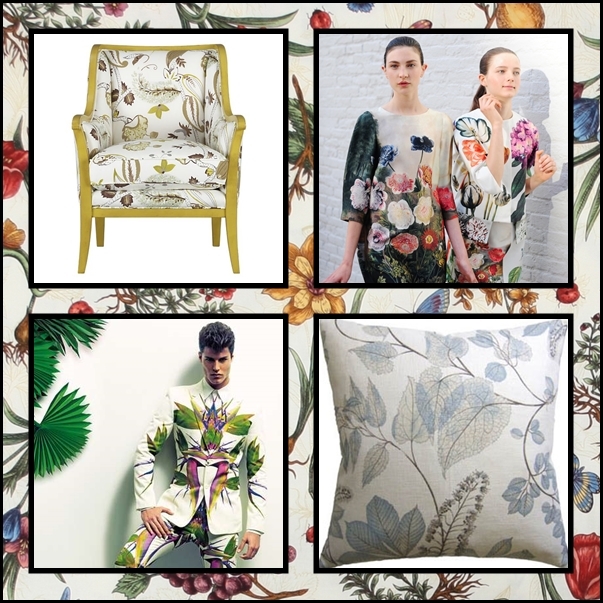 Making a larger than life comeback this summer of 2013, floral prints add a pretty and feminine touch to fabric. They’re one of my personal favourites and look good on absolutely everything. 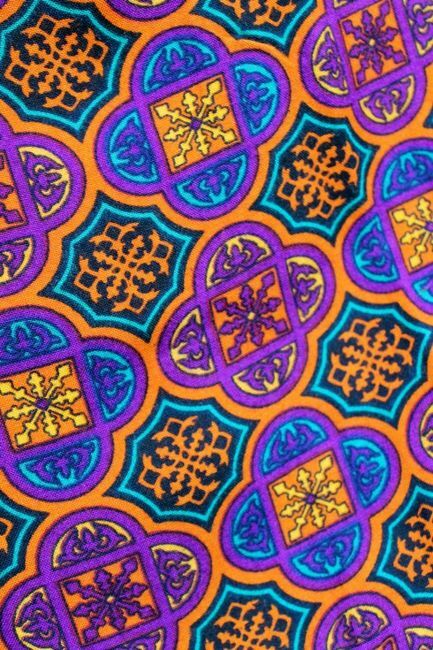 Often called ethnic print, or African print, Ganado prints are historical and very traditional. 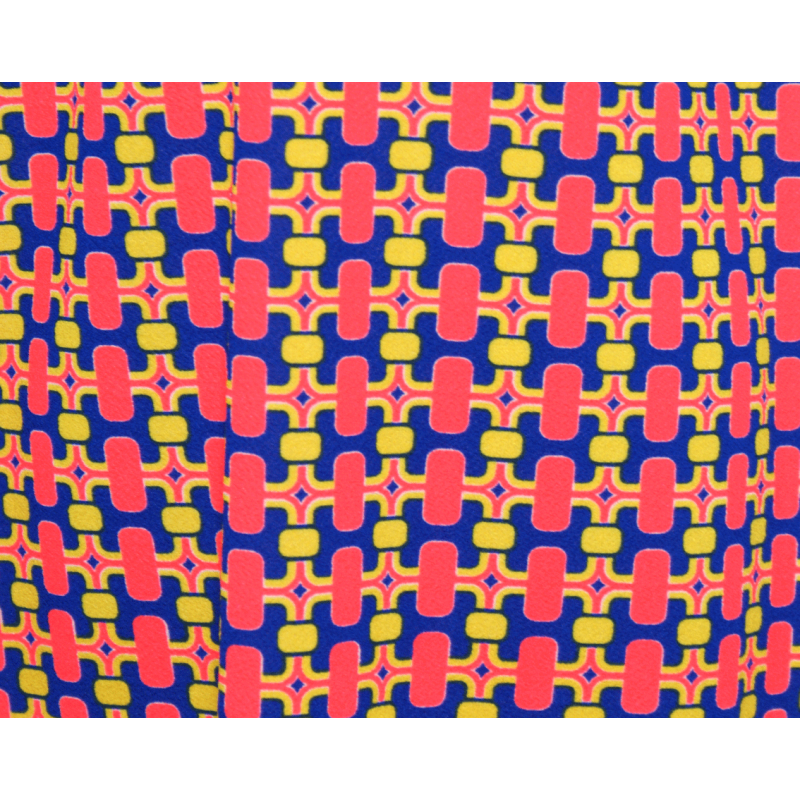 Another print that is pretty big this summer is geometric print. 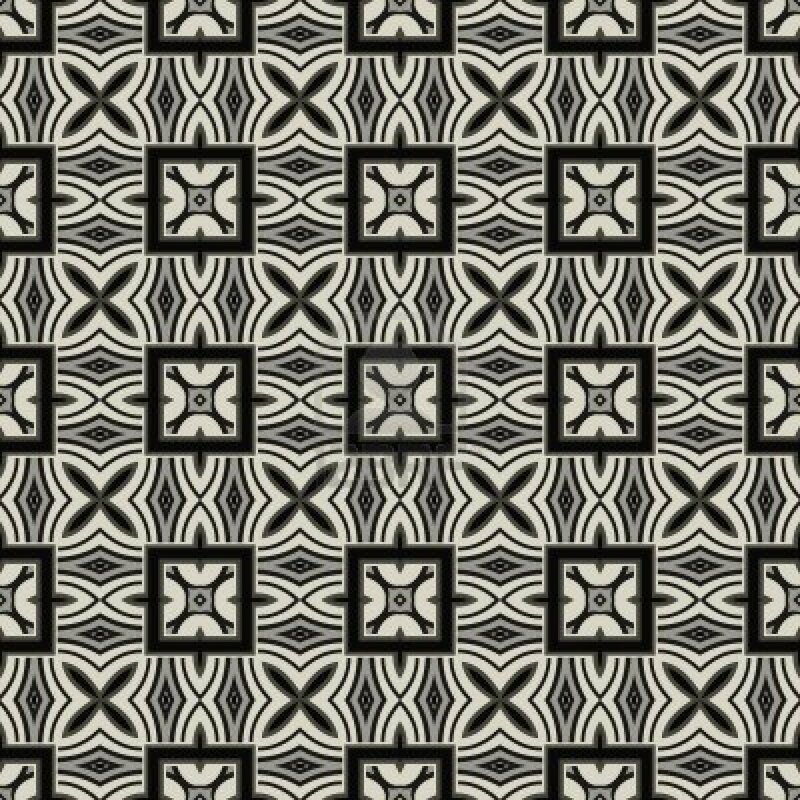 Geometric prints feature various shapes, stripes and zigzags that are both bold and eye-catching. 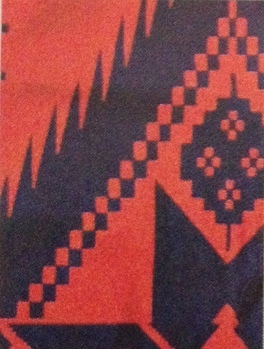 Ikat translates into ‘to tie’. It has Malay origins and results from a traditional dyeing technique. 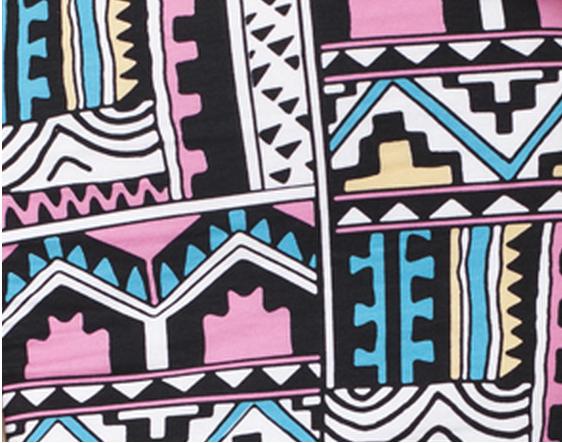 It features intricate and colorful prints that can brighten up any fabric. 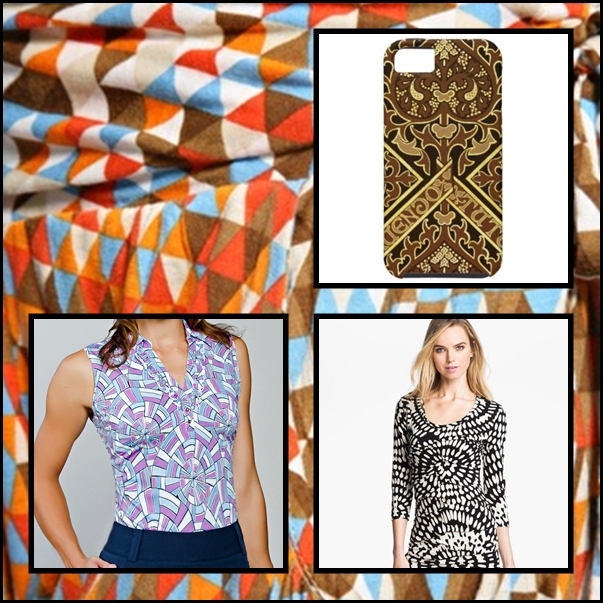 Mod prints add a fresh, hip, funky and playful look to casual clothing. Another trend that is back in style, mosaic prints allow for color blocking and unique mix and match of shapes and colors that have brought this fancy trend back on the runway this year. 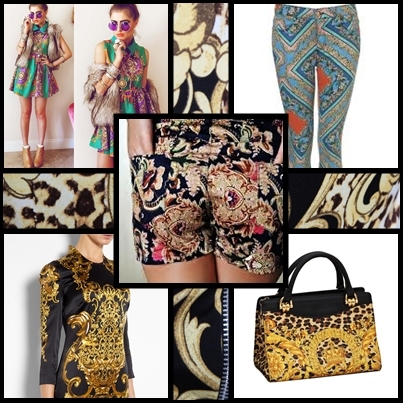 Making a huge comeback in Fall/Winter 2012, Ornate prints add a bold, vibrant, Eastern-inspired, embellished touch to fabric that can make any outfit look formal and dressy. 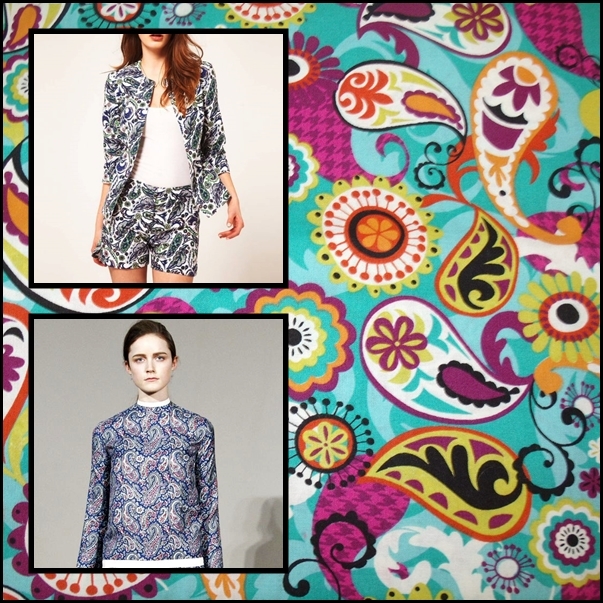 Coming back with a bang in 2012, Paisley print too has its origin in the East. Its characteristic droplet-shaped motif is said to have been inspired by Persian and Indian textiles. The swirling and curling designs were all over Stella McCartney, Jil Sander and Emilio Pucci runways last summer in 2012. 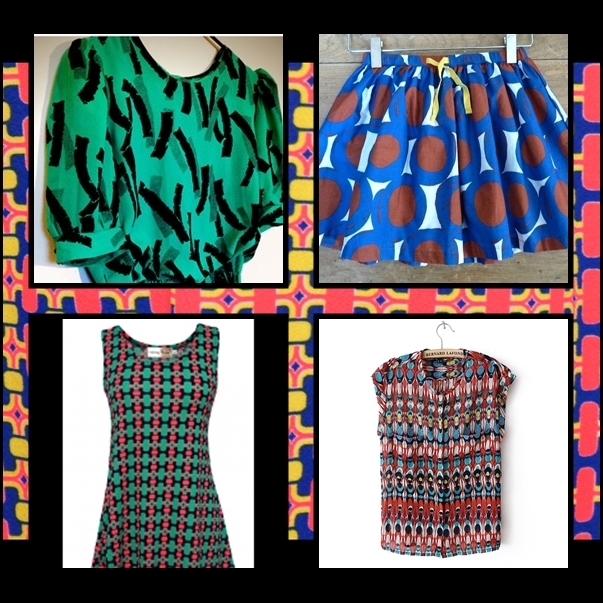 Back from the 1950s, retro prints can make any outfit appear hip and funky with their inherent coolness and eye catching wow-factor. This summer’s hottest trend, tribal prints can add an ethnic yet funky touch to not just clothing but also to footwear and accessories. 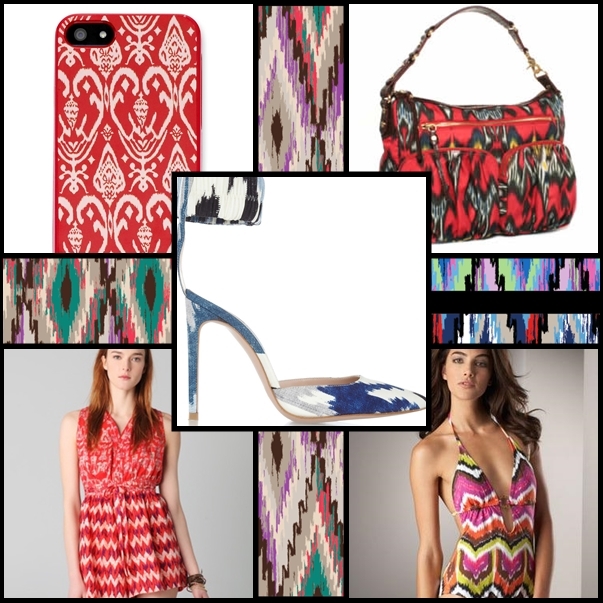 Colorful and vibrant, these prints can make your wardrobe come to life! 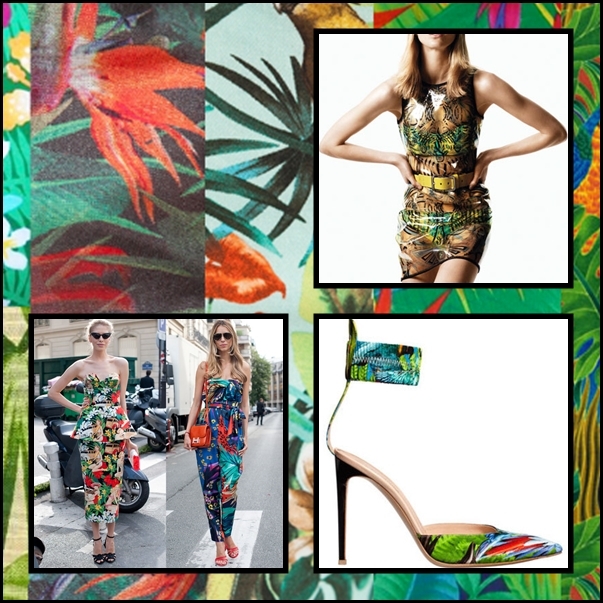 Tropical prints add an exotic touch to your outfits. 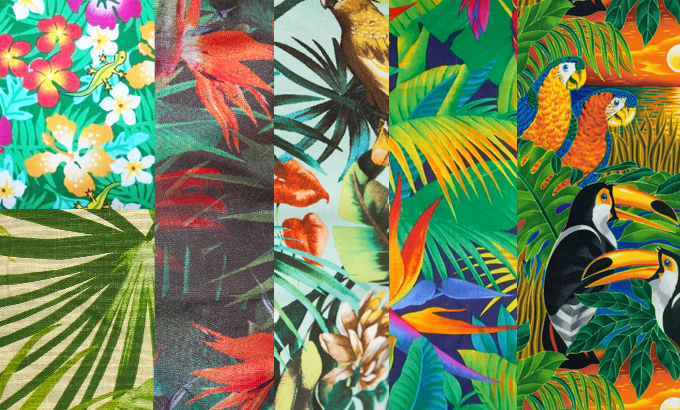 With vivid coral colors and a hint of the jungle, tropical prints can make you feel like you’re on a tropical vacation! 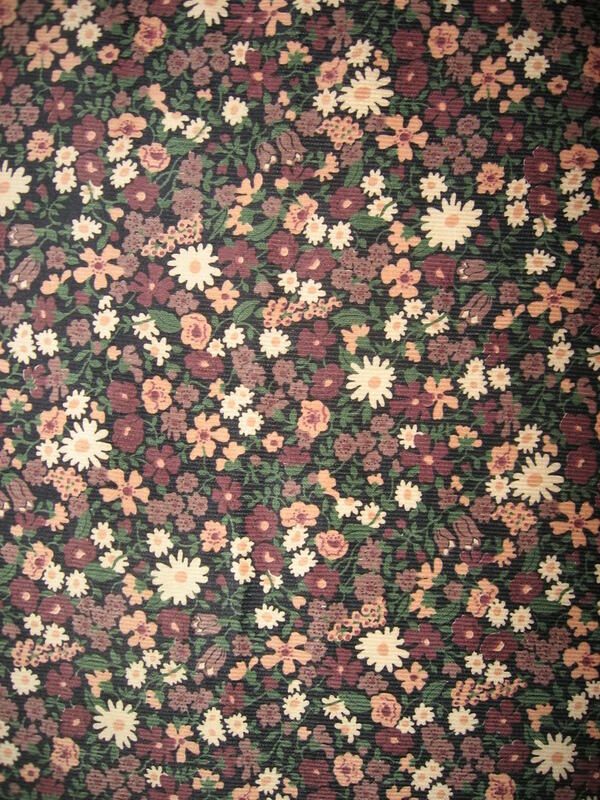 Originally appearing in drapes and bedspreads, waverly prints can also be found on clothing and accessories. This entry was posted on August 2, 2013 by samtotally in Fashion and tagged accessories, animal print, animal prints, Baroque, boho, Fall 2013, fashion, floral prints, footwear, forever 21, prints, Shopping, silk and satin, style, Summer, summer 2013, summer must-haves, summer outfit, Textile, trends, tribal prints, Versace, wardrobe.